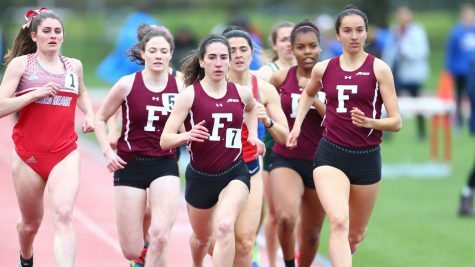 Amidst record-low temperatures paralyzing the northeast region, Fordham Track & Field somehow found a way to stay hot, acheiving two top-three finishes on Friday at the 2019 Metropolitan Indoor Championships at the Ocean Breeze Athletic Complex on Staten Island. 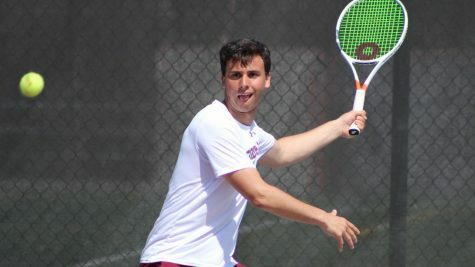 The men accomplished their best feat in recent memory, with runner-up status eclipsing third-place standings in 2012, 2013 and 2018. 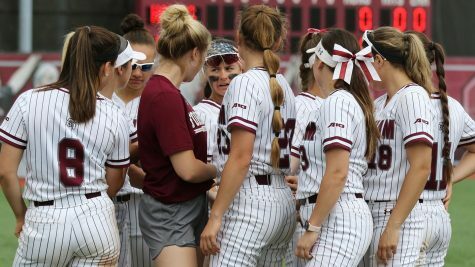 In the meantime, the women’s team cruised to a third-place finish, something it hadn’t accomplished collectively since the 2014 and 2015 campaigns. Three Rams came out victorious in their respective events. Kutch in the 5,000 meter run (15:24.11), sophomore Nicholas Raefski in the 3,000 (8:35.82) and junior Andrew Byrne in the heptathlon (4,458 points). Even freshman Brandon Hall (8:41.22) made a big mark, placing second behind his teammate Raefski in the 3,000. Byrne did not stop with his heptathlon victory, finishing first in four of his seven possible events — long jump (20’ 5 ¾”), pole vault (12’ 1 ½”), high jump (6’ 6”) and 1000 meter run (2:55.49). He was a not-too-shabby second in the shot put (32’ 7 ¾”), and third in the 60 meter dash (7.54) and 60 meter hurdles (9.66). The 4×400 relay team of sophomores Kyle Mack, Arthur Gooden Jr. and Jack Keegan and senior Andre Guthrie, Jr. placed second (3:21.70), lifting the Rams to the 100 point mark as a team and ensuring a second-place finish when it was all said and done. Gooden and Mack added to their efforts with a fifth-place showing in the 500 meter run (1:05.50) and a seventh-place finish in the 400 meter dash (50.79), respectively. 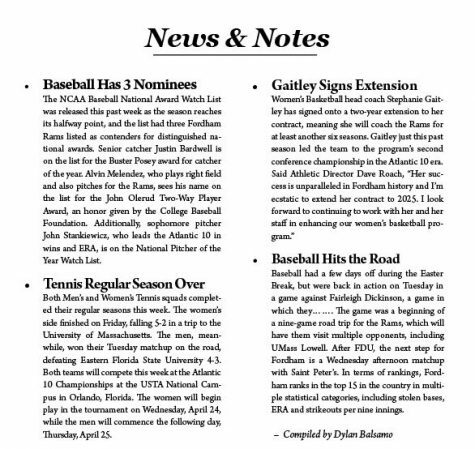 It took a collective effort across the board for Fordham. Other notable performances included sophomore Nikolas Reardon in the triple jump (2nd — 47’ ¼”) and junior Sean Sullivan in the mile run (2nd — 4:15.27). Reardon placed again in the long jump, posting a season-best clip, (5th — 23’ 2 ¾”). Sophomore Ryan McGraw followed in the same event (6th — 22’ 5 ¾), freshman Connor McKeown performed in the heptathlon (4th — 2,777 points), freshman Zalen Nelson (6th — 1:57.53) and junior Jordan Milite (7th — 2:00.02) were excellent in the 800 meter run. The 4×800 tandem of freshman Jeremiah LaDuca, sophomore Christopher Strzelinski and senior Patrick Dineen, Nelson (5th — 8:08.22), Dineen (5th – 2:32.17) and Strzelinski (8th – 2:33.15) was top-ten in the 1000 meters and junior Patrick Donahue also succeeded in the 3000 meters (8th – 9:03.54). When the results came in, Rutgers University earned the team title with 219.5 points. 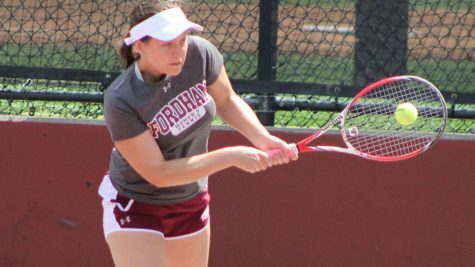 Fordham tallied in at 100, with Manhattan College’s 99 close enough for a third-place finish. Similar to the men’s team, the women saw three individuals ascend to champion status. Senior Aidan Moroz stole the show with two championships. She won the 800 meter run (2:13.95) in her personal fastest time, before teaming up with junior Sydney Snow, sophomore Dana Beggins and senior Kate McCormack to pace the 4×800 relay in 9:18.56. Junior Katarzyna Krzyzanowski joined in on the fun, dominating the 3,000 meter run in her best time yet (10:00.84), good enough for the third women’s title on the big stage. Snow and McCormack, who made their most significant impacts in the 4×800, had much more to celebrate. McCormack trailed behind champion Moroz in the 800 meter (2:17.69), and finished as the runner-up, while Snow placed fifth in the 1000 (3:04.08). Sophomore Kathryn Kelly had herself a day to remember, placing second in the long jump with an ECAC-qualifying 18’ 7 ¼”. She followed that impressive showing with fifith-place finishes in the 60 meter dash (7.74), 200 meter dash (25.23) and 4×400 relay (alongside sophomore Sarinnagh Budris, junior Gabrielle Schreib, and freshman Brielle Lewis — 4:05.04). The second-place finishes did not stop there, as seniors Angelina Grebe and Laurel Fisher chipped in, with Grebe’s season-best 17:30.17 in the 5,000 meter and Fisher’s second-best 5:09.47 in the mile. 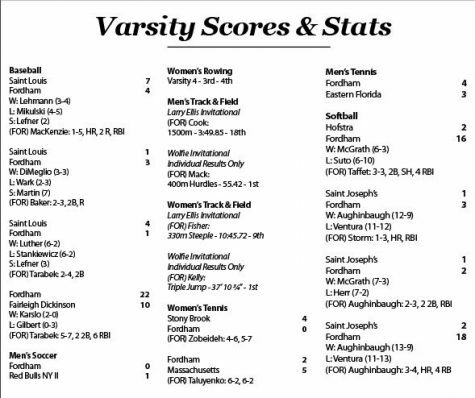 None of this is to forget the efforts of senior Neve Devine in the high jump (4th — 5’ 1”), sophomore Germaine Harbaugh in the 5,000 meters (4th — 18:33.65), Valentine in the 400 meter dash (6th — 57.95), Daniels in the mile (5th — 5:16.61), Budris in the 500 meter (7th — 1:16.78), senior Abigail Taylor (4th — 10:19.05) and freshman Bridget Alex (6th — 10:32.15) in the 3,000 meter run and senior Blake Elwood in the 1000 meter run (6th — 3:06.34). 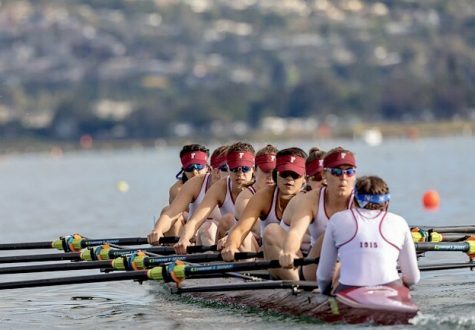 All of their performances propelled the women’s side into a three-team push for first place. 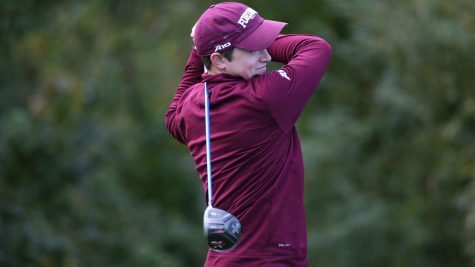 Rutgers was able to gain the upper-hand (131 points), while St. John’s (123) and Fordham (114) took second and third, respectively. 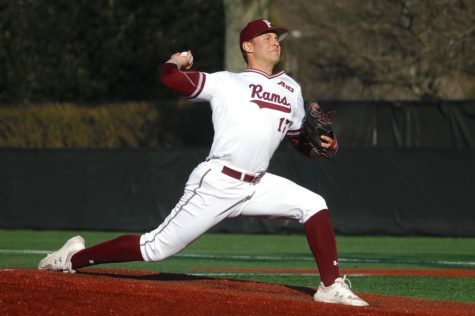 The Rams still have more to attend to ahead of the more high-stakes events, battling at Boston University’s Valentine Classic this weekend, but Friday served as a phenomenal stepping stone.